You either love them or you love to hate them: eyelash extensions. From the hour-long appointment to the upkeep, lash extensions can be a major commitment. But, when properly applied and maintained the end result is wider, more awake, vibrant eyes and who doesn’t want that? Lash Health is a top priority at Pucker (and should be yours too!) Find an experienced (and licensed) lash technician and always ask about the brand and types of products that are being used on you. 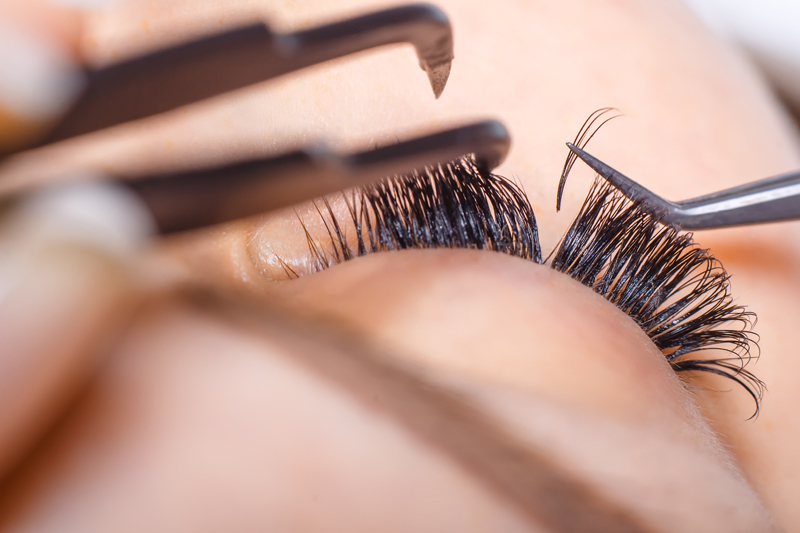 If a glue contains harsh ingredients such as Formaldehyde or Latex, that could trigger allergic reactions around the eye area, and ultimately damage your lashes as well. Choosing the lash style best suited for your eye shape helps them look the most natural and will also help them “pop.” It’s always best to consult with your lash technician before an appointment and what shape will be best for your eyes / face. Cleanliness is non-negotiable. Remember that your lashes, like your hair and teeth, should be brushed daily and cleansed at least 2/3 times a week. A lash shampoo is essential so don’t skip out! Make sure that anything you use to cleanse your lashes is oil free. To keep your lashes always looking fresh its best to maintain them by touching them up every 2 or 3 weeks. Touch-ups help fill in sections where the extensions have fallen and they also help primp existing lashes. Lash extensions are a luxury. Be sure that you give your natural lashes a break every 5-6 months to ensure healthy lash growth. Using a lash serum in between lash extensions is also a great way to help maintain healthy lashes.